ACTION ALERT! Health Care Reform, Don't Come Home Without It! Folks, today is yet another do or die moment in the health care reform debate. In the next 24-48 hours we'll know if legislation can make out of House Committee and on to the floor for a vote. I know all of this sounds terribly esoteric, but all you need to know is this; if legislation fails to make it either out of the House or the Senate for a vote before Friday, when the August recess begins, lobbyists and special interests will have three weeks of unfettered access to grind down lawmakers and turn their constituents against them. So we're asking you take 5 minutes out of you busy day to do two things. 1) Make a few phone calls and 2) Become a Lobbyist. Why Mike Ross? Because he's the head of the Blue Dog coalition which is blocking reform in the House. Now, instead of calling his office and beating up on him, call him and tell him you support health care reform, you want it before the August recess, and will support his reelection campaign in 2010 if a bill makes it to the floor of House and goes up for a successful vote. No really, I'm not kidding about this. This is how and why lobbyists have so much influence. Money. Money. Money. Well, we're going to be our own lobbyists now. I know this sounds insane, but if enough of us pony up $5 to his reelection campaign for him to notice, suddenly we're a seat at the table. And no, I'm not suggesting bribery. We're not asking the Congressman to perform a specific act for a specific amount of money. I want to be very, very clear about this. Here's a link to his donation page. Remember, only donate IF legislation is voted on in the House before the August recess and only if it contains a strong public option! 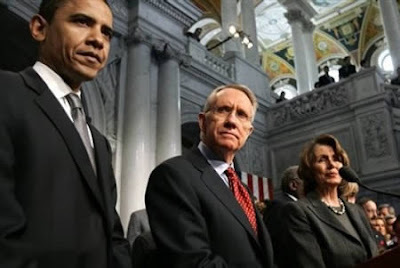 Obama Punk'd On August Recess By Harry Reid and Nancy Pelosi? A day after Obama's press conference on health care reform, both Senate Majority Leader Harry Reid and House Leader Nancy Pelosi told their delegations it was alright for Congress to recess in August without first passing health care reform. Pelosi dismissed concerns expressed by many Democrats that a month long delay could give opponents more chances to rally opposition to the bill. "I'm not afraid of August," Pelosi said. "It's a month." That is different from what she said Wednesday and contradicts one of her fellow Democratic House leaders. On Wednesday, Pelosi had indicated that she supported staying into August, saying, "70 percent of the American people would want that." As the bill has bogged down in the Energy and Commerce Committee, the July 31 deadline for passing the bill has seemed increasingly more difficult to meet. Pelosi and House Majority Leader Steny Hoyer (D-Md.) have promised lawmakers two days to read the final bill, so it must get out of the committee by Wednesday. The committee again delayed its markup Thursday. Obama wants a health care reform bill on his desk by the end of the year to both capitalize on momentum of his new administration and avoid the thornier political climate of midterm congressional elections in 2010. However, at a Town Hall meeting today in Ohio, Obama seemed to concede the point, saying he's "OK" with the Senate's decision to delay a health care vote until after the August recess. "We just heard today that, well, we may not be able to get the bill out of the Senate by the end of August, or the beginning of August," President Obama said. "That's OK. I just want people to keep on working. Just keep working." Oy, it's going to be a long summer. ACTION ALERT! We Only Have 24 Hours To Keep California "Open"
While Schwarzenegger soaks in his jacuzzi smoking a fat one tonight, millions of Californians just had their future traded away in a craptacular budget deal. Parks, beaches and schools will close. Teachers and health care workers will lose their jobs. The social safety net lies in shreds at our feet. This weekend, I and some friends, activists, and Obama alumni shot a video about the CA budget crisis called "California Closed". Production services and music were donated. The "models" were friends. Nori, the woman you see at the end of the video is real. This budget isn't a done deal yet. But we only have 24 hours to keep California "open". 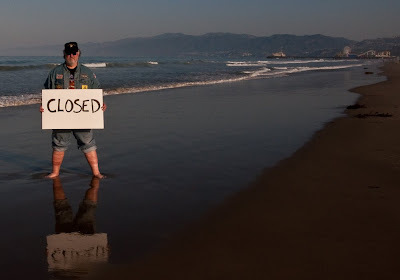 We put the one-minute video, "California Closed", up on YouTube Monday night. On Tuesday morning, the Courage Campaign picked it up and built an online campaign around it. By Tuesday night, local news stations in Los Angeles were running stories on the video and the backlash against the budget. We're hoping (praying) that enough momentum is building out there to block a scheduled vote of the California legislature tomorrow. If we can block that vote, we can force Schwarzenegger and the Republican legislative minority back to the bargaining table. If we're luckier still, we can force Democratic Leaders in Sacramento to grow a spine. So here is what we need you to do. 2) Sign the Courage Campaign's online petition. 4) Call the "Big 5" leadership in Sacramento and tell them to vote NO. Tell them we will not allow Arnold Schwarzenegger and the radical Republican legislative minority to hold our state hostage. We want a fair budget that uses both cuts AND revenue increases to balance the budget. Don't know who your Assembly Member and State Senator are? Click here and get their contact information. Folks this is what we're up against. If you get a chance, take a listen to Warren Olney's Which Way, LA? (Democratic lawmaker) Bonnie Lowenthal... is positively ebullient about the prospect of selling out local governments and breaking the very fabric of the social safety net. Asked if she'll vote for the budget, she goes "I certainly am!" Olney, incredulously, lists the scope of the cuts, but she replies, "We have a deal, the stalemate is done, the IOUs will be over!" Later in the show, she enlightens us that it's better to have something than nothing, and that we saved the "framework" - not the funding, just the framework - of most programs. I don't think you could encapsulate the strategy and approach of the two parties better in a work of fiction. Lowenthal is just pleased as punch for everything to be over, DeVore knows he can get more and doesn't want any part of his own handiwork so Democrats can be blamed for the consequences. One side looks only to put out immediate fires and the other has a long game strategy playing out over decades. Tonight, Governor Arnold Schwarzenegger is kicking back in the old jacuzzi and lighting a fattie. After nearly a year of holding our state hostage, Schwarzenegger and the radical Republican minority in the Sacramento legislature held the line and got nearly everything they wanted - no new taxes and deep cuts that will close public parks and beaches, lay off teachers, and pretty much sever the social safety net for millions of Californians. Gov. Arnold Schwarzenegger and legislative leaders agreed Monday to balance California's $26 billion deficit by cutting broadly across state government, shifting costs into the future and capturing funds from cities and counties. Despite the accomplishment, Senate President pro tem Darrell Steinberg said that "this a sober time." "There isn't a whole lot of good news in this budget. We have cut, and we have cut in many areas that matter to real people," said Steinberg, D-Sacramento. "But I think we have done so responsibly." State leaders believe their budget plan is credible enough to acquire billions of dollars in short-term loans that will end the states reliance on IOUs for only the second time since the Great Depression. California is in the throes of a cash shortage because it is relying on a February spending plan that assumed higher revenues and solutions rejected by voters in May. The compromise package is also filled with changes to state government not normally associated with budget deals. It increases sanctions on welfare recipients in an attempt to encourage more people to work. California, welcome to your Republican future. Arnold Schwarzenegger is taking to the television airwaves today with a 60-second litany of all the budget-balancing plans he won't sign, claiming he will "stand firm" for a balanced budget without tax hikes, and asks Californians to stand firm with him. Folks, it's time we "terminate" this propaganda. We here at "Venice For Change" will be shooting our own spot this weekend, putting a human face on the budget crisis in Sacramento. The concept is very simple - we will be videotaping empty parks, beaches, lifeguard towers, schools, courts, playgrounds, pools, government buildings, etc. 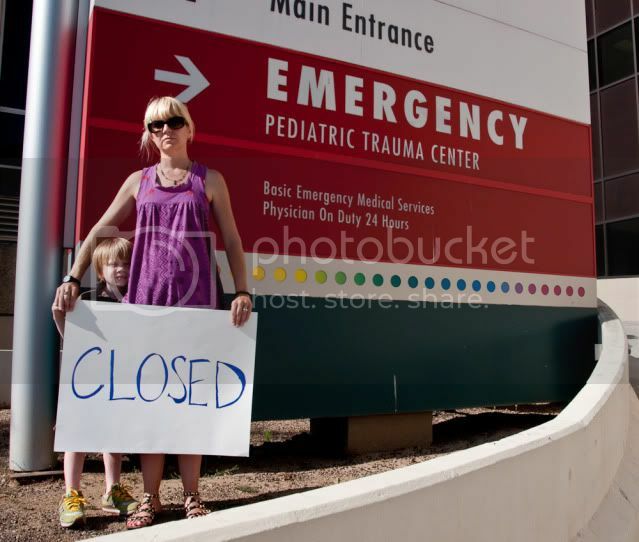 with a person standing in front of each location with a hand-lettered signed that says "Closed". The tag line: "Brought to you by Governor Arnold Schwarzenegger and the California Republican Party"
We are especially looking for families, school kids, and folks of color, but everyone is welcome! "As the 53d AD Turns"
First he took her furniture. Now he wants her seat. Jim Aldinger, a former Manhattan Beach city councilman, is preparing to run against his ex-girlfriend, Betsy Butler, for the 53rd Assembly District next year. Aldinger and Butler parted on bad terms about seven years ago. He refused to relinquish some furniture that she'd had delivered to his house, and she had to sue him to retrieve it. In 2004, a judge ordered him to pay her $5,000. Both candidates say that episode is in the past and should not be relevant to the coming campaign. But their history together is likely to make the race somewhat awkward, at the least, and also raises questions about Aldinger's motives for running. Aldinger, 48, said he is not motivated by resentment or hostility toward an ex-girlfriend who took him to court. "This is something that's been in my mind for some time," he said. "This is not something that I would take lightly. I think I'm the most qualified." Though relatively unknown in the coastal district, Butler is considered the early favorite in the race to replace Assemblyman Ted Lieu. She is the chief fundraiser for Consumer Attorneys of California, the state lobbying group for trial lawyers, and has secured most of the major Democratic endorsements thus far. Several candidates, including Manhattan Beach Councilman Mitch Ward and Torrance Unified school board member Al Muratsuchi, have also announced their intention to seek the Democratic nomination in June 2010. Due to a strong registration advantage in the Venice-to-Torrance district, the Democratic nominee will be heavily favored to win in November. Several of the candidates have begun attacking Butler, 45, as a Sacramento insider who lacks a local base of support. Aldinger, who served on the Manhattan Beach City Council for eight years and has considered running for Assembly twice before, is among those making such criticisms. "I've been very involved in the South Bay for years," Aldinger said. "She's never done anything in the South Bay. 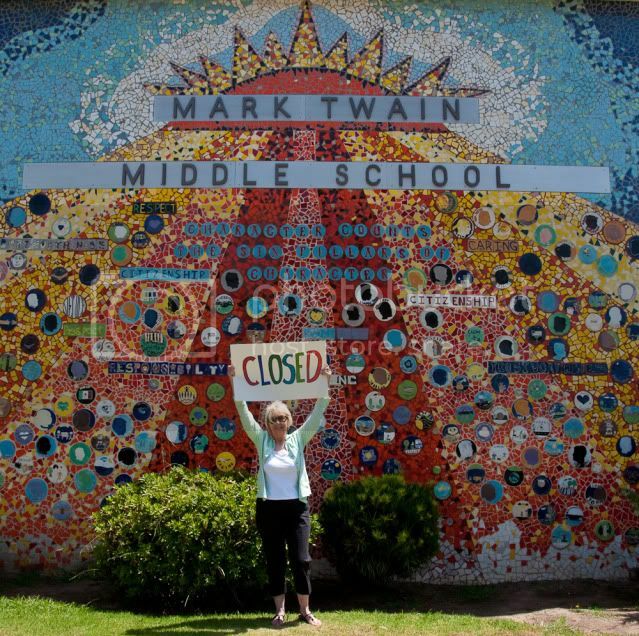 She's a West L.A. person more than anything." Aldinger said he met Butler while she was working for the League of Conservation Voters. At the time, he said, she was content to stay behind the scenes and did not expect to run for office. Butler referred questions about Aldinger to her political consultant, Parke Skelton. "They dated briefly about seven years ago. It didn't work out," Skelton said. "The issues concerning him have been discussed. He has a record, and he'll have to deal with it in the course of the race." In 2005, Aldinger was forced to resign from the California Coastal Commission after it was disclosed that he had been charged with public intoxication and that a previous girlfriend had obtained a restraining order against him. In the 1998 restraining order application, the ex-girlfriend claimed that Aldinger had mistreated her 7-year-old daughter. Aldinger denied those claims, and the order was dissolved a month after it was issued. Court records also show that Aldinger recently paid $5,300 to a collection agency that had sued him to recover payment on a Verizon wireless account. In that case, process servers tried to track him down at Manhattan Beach City Hall but were unsuccessful. Aldinger said the debt originated from a phone bank he had run for the 2004 presidential campaign of John Kerry. Aldinger said he opened the account in the belief that he would not be charged if it was canceled within 30 days, but that Verizon insisted on payment. "I basically just decided to pay it," Aldinger said. In the small claims case, Butler bought furniture for her new home. While the sale was still in escrow, she had it delivered to Aldinger's empty duplex for storage, according to court records. The court records state that the couple dated for a year and a half, but Skelton said the relationship lasted only a few months. Butler testified that when they broke up, she asked to get the furniture back but that he refused. Aldinger testified that she had not asked him for the furniture and that his attorney told him she had legally abandoned it. The judge found that Aldinger's version lacked credibility and awarded Butler $5,000 for the cost of the furniture and shipping. A year later, a notice was filed indicating that Aldinger had paid her the money. Obama on Health Care Reform, "We Are Going To Get This Done"
I want to be everybody on notice, because there was a lot of chatter during the week that I was gone. We are going to get this done. Inaction is not an option." "I am speaking out about how big for-profit insurers have hijacked our health care system and turned it into a giant ATM for Wall Street investors, and how the industry is using its massive wealth and influence to determine what is (and is not) included in the health care reform legislation members of Congress are now writing. I was in a unique position to see not only how Wall Street analysts and investors influence decisions insurance company executives make but also how the industry has carried out behind-the-scenes PR and lobbying campaigns to kill or weaken any health care reform efforts that threatened insurers' profitability." Wendell first went public as an advocate for health care reform as the lead witness at a Senate Commerce Committee hearing on June 24. Since then he has been much in the news media. 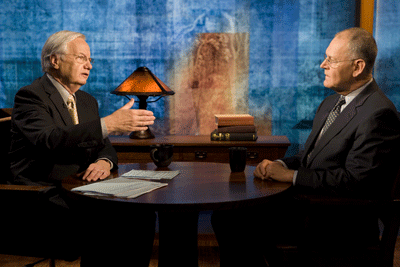 His interview with Bill Moyers will be his first extensive TV interview. House Democrats’ health care bill has been delayed indefinitely as leaders continue negotiations with fiscally conservative Blue Dog Democrats. Committee chairmen had planned to release their bill on Friday and begin marking it up on Monday, but notices were sent out this morning noting that both the release and markup would be delayed. Rep. Mike Ross (D-Ark. ), who chairs the Blue Dogs’ health care task force, warned leadership in a two-hour meeting Thursday night that his group would bolt unless a series of demands were met, including altering reimbursement rates under a proposed public option so that they are not based on Medicare rates. Folks, this is a serious threat. 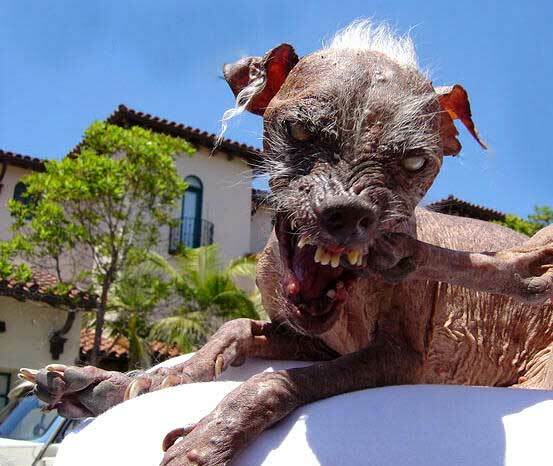 Because there is little chance the 178 Republicans in the House will vote for any form of health care reform (let alone single-payer or a public option) the 40 Blue Dogs opposing a strong public option know they can join their ranks and derail the entire bill. Think about that for a second. Democrats - the folks we worked hard to get into office last year - are threatening to join in with House Republicans - a group so out of touch with the basic needs of all Americans, that they don't even think food is a basic human right. We can't let them get away with this. We have three Blue Dog Democrats right here in California who signed on to join forces with Republicans against health care reform. We need to let them know that this is unacceptable. Call them now. Tell them that Health Care is a basic human right. And that we will settle for nothing less than a strong public option that's available to ALL Americans on Day One, accountable to Congress, and which can bargain for lower rates with drug companies and providers. Rep. Schiff has favored a robust public option for some time now, and in fact, has written House leadership to express his support for the inclusion of a public option which has access to the Medicare provider network. Rep. Schiff believes that a strong public option will provide significant cost-savings and is an essential piece of any comprehensive health care reform bill. Because of You, Jane Harman Comes Out Publicly For A Strong Public Option! Last week "Venice For Change" made over a thousand phone calls to constituents of Rep. Jane Harman (D-36) asking them to tell their Congresswoman to support a strong public health care option. 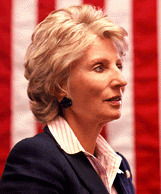 Yesterday, Jane Harman called for the creation of a strong public option, in an op-ed piece in "The Hill"
To achieve lower costs and better health outcomes, we simply need to make our existing healthcare market work better..... A public health insurance option, crafted to compete with private insurance on a level playing field, would finally provide much-needed competition in the broken health insurance market. Without the pressure to return large quarterly profits, a government-sponsored health plan would put pressure on private plans to bring their costs down, with the savings passed along to businesses and consumers. Folks, you made this happen. Your hard work, your dedication, and your cell phones. But we can't stop now - we need to keep the pressure up. As we speak, Congress is rapidly hammering out the details of the health care bill, and getting the message to them that we want health care reform that's available to all Americans on day one, accountable to Congress, and will be able bargain for better rates from providers and drug companies is crucial. Our representatives must understand how strongly we feel about the need for real reform -- and that we need it now. Support a strong public option as part of health care reform. Support a public health care option that is available to ALL Americans on Day One. No “trigger”. No delay. Support a public health care option that is national, available everywhere, and accountable to Congress. Support a public health care option that can bargain for rates from providers and big drug companies. Achieving comprehensive, effective healthcare reform will be the defining legacy of the Obama administration. It will take all of us to help make this happen. It's up to us. We have to be the change we are waiting for. Phone Bank And BBQ For Health Care Reform! Please bring a cell phone and your charger. We will be grilling as well as phoning! We supply the burgers, you supply the side dishes!